Geeks shape the society and make the rest, enjoy things they cannot create for themselves. Geeks have conquered around the world. 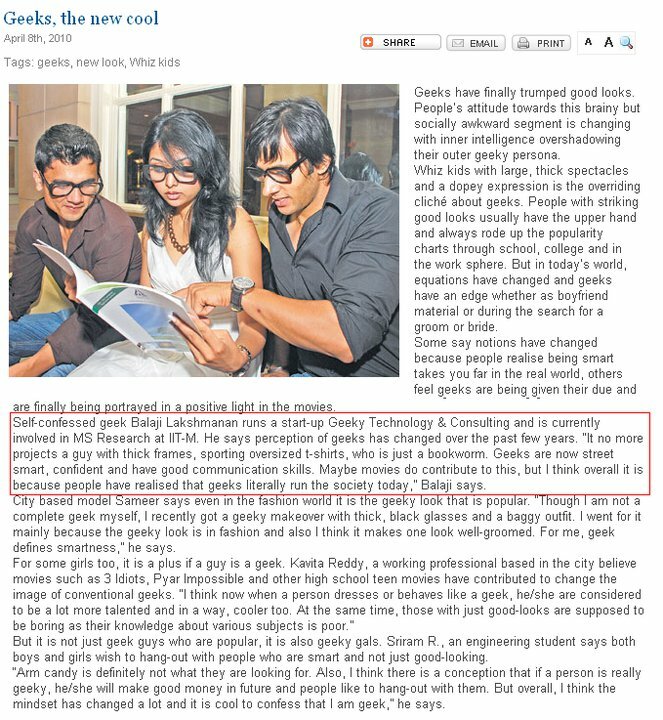 Geeks time in India has come. Yes. Cracking into IITs help! Twestival amazing event aimed at fund raising for a noble cause besides a fab platform to meet new (sometimes same old) exciting people. Close to Rs52,000 had been raised and given to charity. 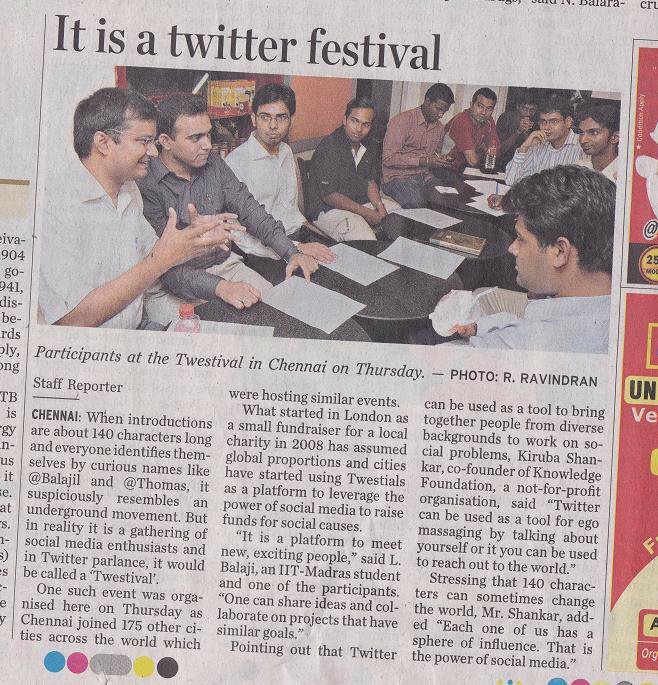 Visit http://twestival.com/ and http://chennai.twestival.com/ for more details. 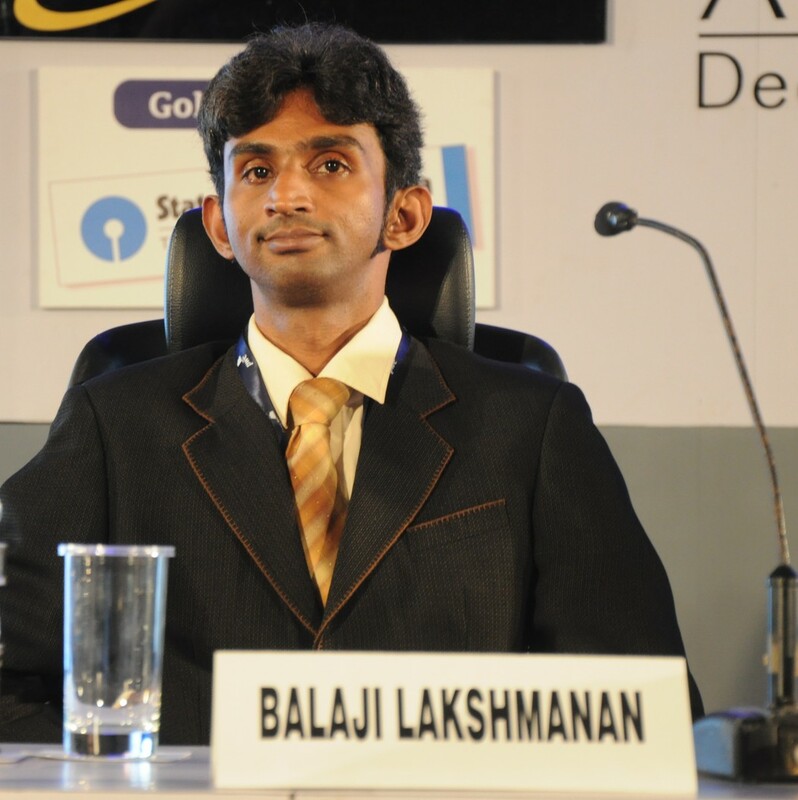 Some free marketing for Balaji Laksmanan(That’s Me) and my StartUp Geeky Technology & Consulting along with OCC Chennai.